1:1 training, set-up, and practice sessions focused on the specific challenges faced by Executives and their Assistants. After learning our methodology in a 3-hour workshop and participating in the 2-hour set up and clean-up session, your inbox (or your boss’) will be a less stressful place to visit. Relax, knowing that priorities will be clear, and nothing will ever be missed again. Your emails will be handled. Not only will you (and your assistant) be less stressed when your emails are under control, the daily time saving that both of you will benefit from, is priceless. Yes, there is such a thing. We will teach you and/or your Assistant to sort through your inbox, prioritize, and batch process at a speed you did not think was possible. Oh, and yes, your inbox will get down to zero. The Stack Method™ has a built in technique to ensure nothing will be forgotten about - unless you want to forget about it, of course. We take you through our methodology and teach you to see emails in a whole new light. With this new understanding, you will learn to sort, organize, and prioritize, process in a brand new way. We work with you 1:1 to create and name folders according to this new methodology, and customize them to suit your role. We then teach you to use quick keys for your specific email platform, so you’ll never need to slow yourself down with a mouse again. In addition, we coach you through the process, live, while you get your inbox down to zero in the session itself. That’s right. Zero emails. In the session. To build a habit, you need to practice. We hold two web sessions for you at your convenience, to support you while you clear your inbox and process your emails. Think of us as your personal trainer at the gym. I know you can give me 5 more push ups. Well? Don’t you want to be set free from email-jail? Give us a call to book your 1:1 training, set-up and practice sessions. You’ll wish you did it sooner. Training, set-up and practice sessions for teams of 10-30 participants (participants can be spread across the organization if required). 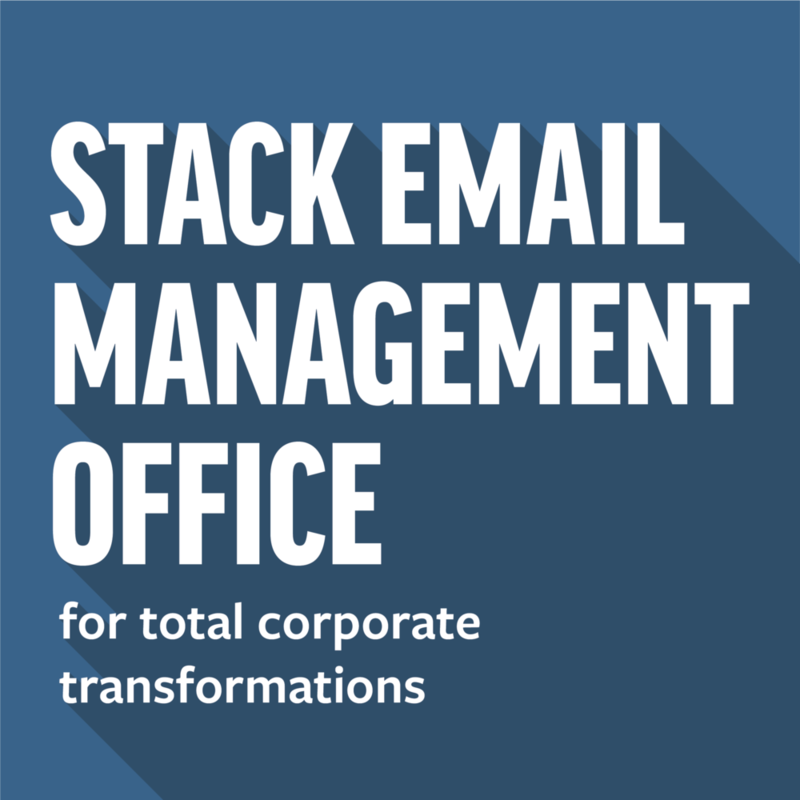 In addition to our workshops, set departmental or corporate email policies and standards, implement subject line conventions, and change the way your employees interact with emails… forever.